and ended up reading it carefully from top-to-bottom. There were interesting twists and turns everywhere and a serviceable winelist and I put it on my hard-list to visit. Awkward host- and wait-staff stood around dutifully memorizing menus, an interview was going on in the corner, and hovering about were managers doing the watchful opening pace. I decided to give it a couple weeks. I waited at least a week, but not much longer. On this visit, everything was MUCH more relaxed. The place is beautiful, not too many TV’s, not too many bros–in fact: NONE, actually–staff happy and accommodating. We ordered pretty much straight down the STARTERS list–typically a fair litmus to resty expectations. 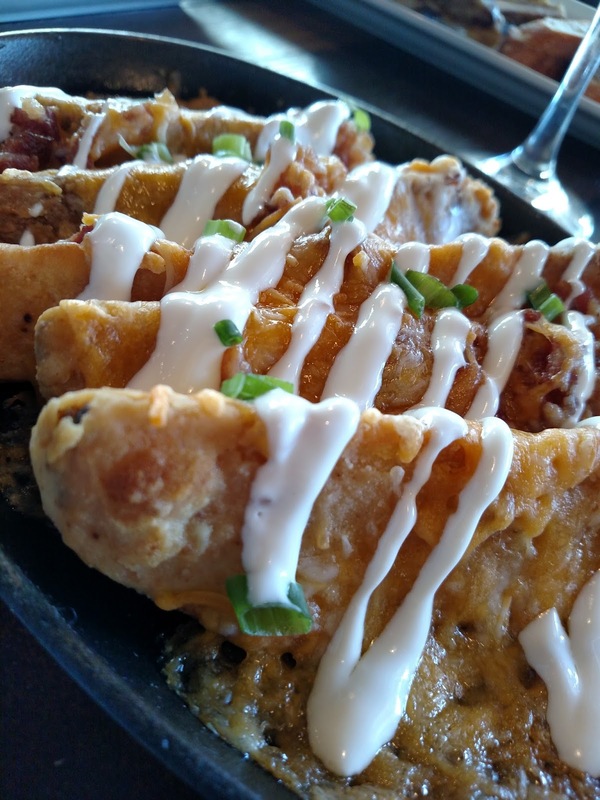 The Loaded Potato Wedges were just that, filling and cheesy, not overly-seasoned. Not stellar, but hey: what do Potato Wedges need to do to be stellar, anyhow? They were just fine. Despite what seems like hundreds of beer on tap, we opted for cocktails and a lovely Qupe Syrah. 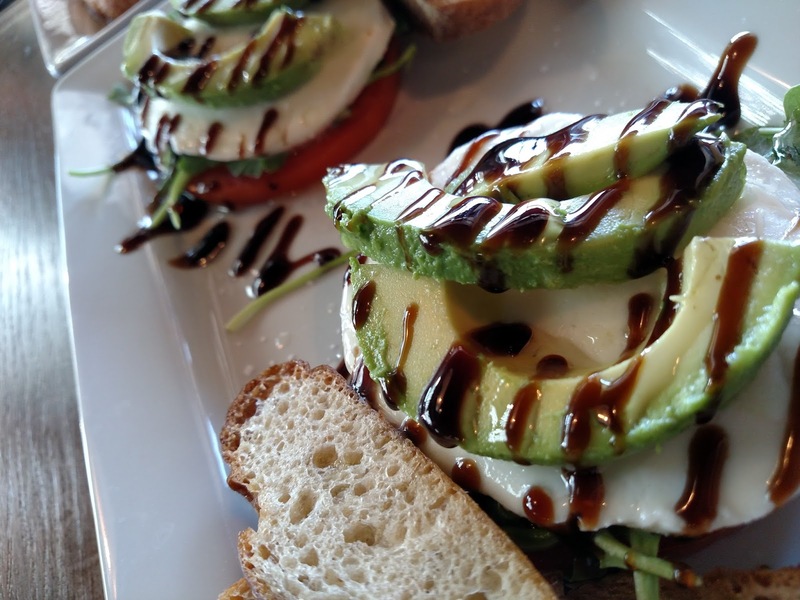 The Caprese with Avocado stepped things up a notch. Balsamic reduction over fat slices of Buffalo Mozzarella and reasonably-ripe tomatoes. A fine dusting of flake-salt was a nice touch. Someone is thinking. The ribs are breaded and deep-fried chicken-style. I opted for the sauce on the side, worried about obfuscation. 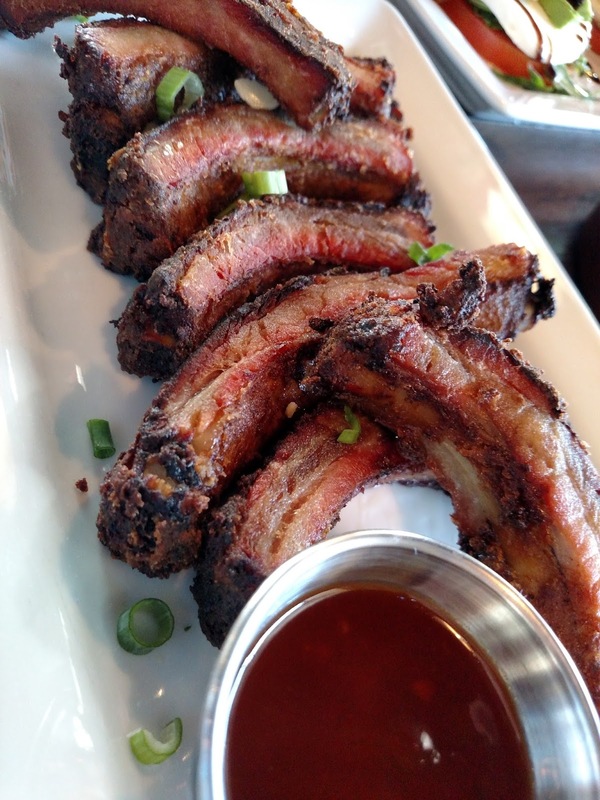 An interesting combination between dry-rub and par-boiled, meat flaked off–moist and flavorful–I am glad I did not have them smothered in sauce. The sauce was GOOD, and I dipped a few ribs, it’s just the ribs were SO GOOD without it. 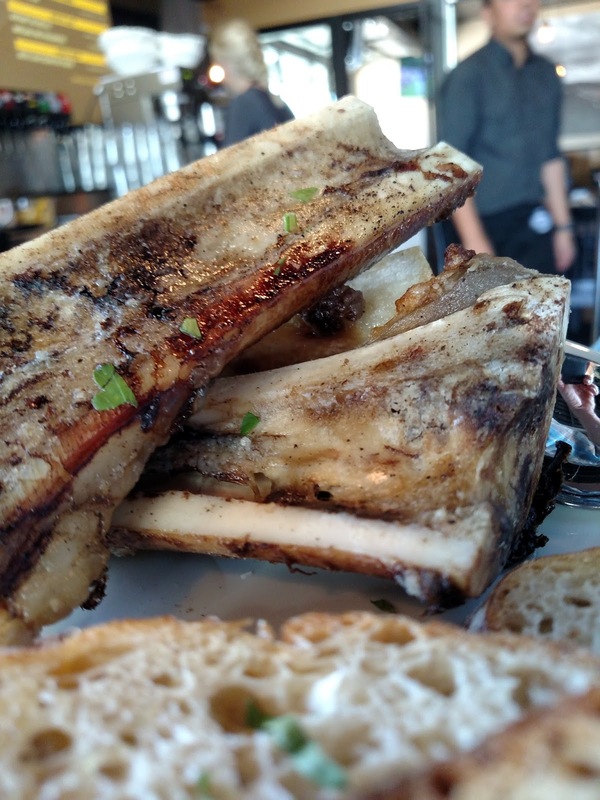 Marrow has finally made it to San Luis Obispo, and Milestone Tavern has a good version. Nutty and wonderful, very generous. Order the hummus for the loads of crostini which come with. Overall, pleasantly surprised with this new business. Service was perfectly attentive but not cloying. Curious to go back for dinner. It is quite a nice menu. Airy and open with great art and a cool, calm vibe. 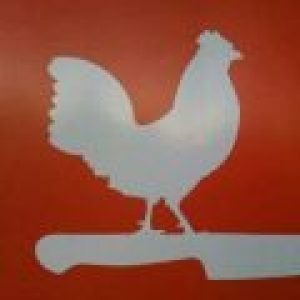 This is a great addition to San Luis Obispo–and especially the Foothill area.